Deep conditioning is a hair treatment applied onto your hair, and left on for an amount of time, before being rinsed off. Doing deep conditioning treatments can help restore and maintain the strength of your hair, making it easier to manage. There are so many different deep conditioning treatments, depending on what it is your hair needs. These range from protein treatments, to bond repairs, colour protect and on and on. 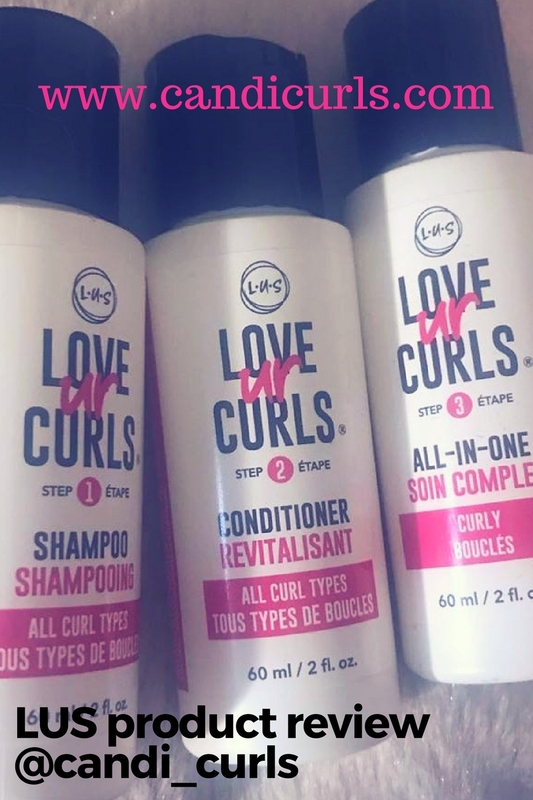 There is alot to learn when it comes to deep conditioning, but once you get into a routine of doing it, your curls will be thankful, healthy and you will notice an instant change. I never used to know what a deep conditioner was, and now i do it religiously! 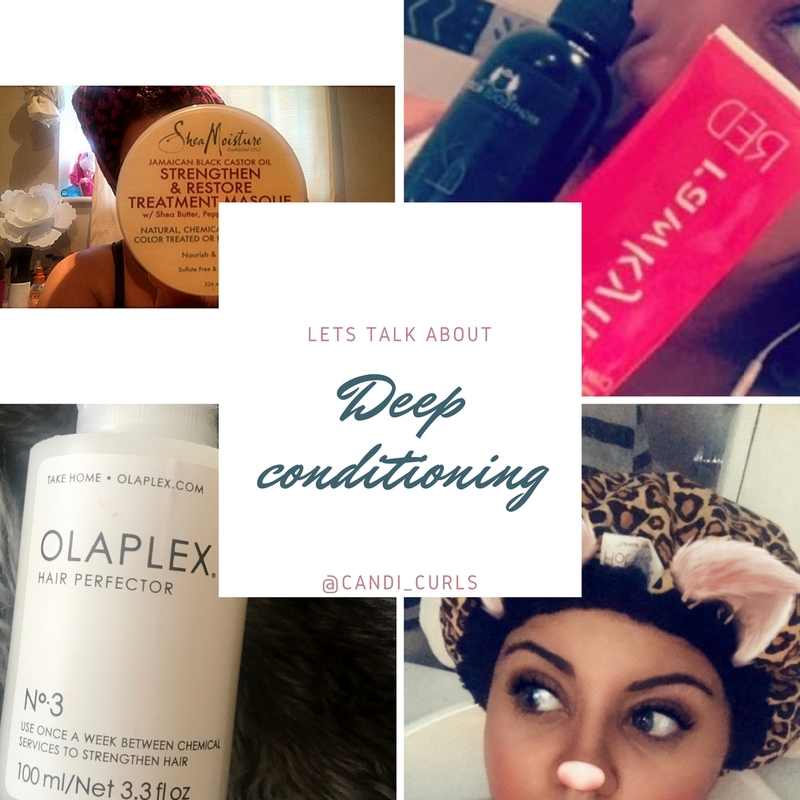 What are your favourite deep conditioners? This is my go-to hair treatment and i apply this after shampooing my hair and in sections before putting on a shower cap, and my hot head thermal cap. My new favourite is the RawKyn Clay mask which i do every other week now and more on this can be found in my previous blog post. Deep Condition regularly. As i said, i apply a deep conditioner to my hair every single week. It has made my hair stronger as well as healthier, and the fall out i get after combing my hair has decreased so much! Overdo it. Deep conditioners always say how long they should be left on your hair. Where you think you are doing good by leaving it on longer than the usual 15-30 Min's, you could in fact be causing more damage. I have heard of people leaving them on over night etc and not having any negative effects, but when i have left them on my hair for hours at a time, my hair has not felt the same. Multi-task. Deep conditioners are designed to be rinsed off, when the time is up. Do not try to use a deep conditioner as a leave in! They are not the same thing, and it won't do your hair any good. The same goes for trying to use a deep conditioner to co-wash your hair. It is supposed to be left on for at least 15mins. Heat it up. Deep conditioners work fantastic with heat! Some of them even suggest it on the bottles. Adding heat to the process will not only speed it up, it will also help it to do its job better. Personally i use my Thermal Hair Care Hot Head for when i deep condition my hair. This is a thermal cap which you can put in the microwave and then on top of a shower cap on your head and it keeps everything warm and toasty. Other options are of course a steamer. Balance protein and moisture. As i said above, the key to deep conditioning is understanding what it is that your hair needs the most. Is it lacking protein, is it drying out etc. Finding out what it needs and the right deep conditioners will solve all your problems. This is why i switch mine up each time. The JBCO mask is great all round for strengthening my hair, but the rawkyn leaves my hair feeling softest and Olaplex restores it. I have also tried protein masks and masks for low porosity hair. Blow your budget! This is my biggest struggle. I see so much about the DevaCurl range and i want to try them so bad, but the price tag attached to them ... is it worth it. Sometimes cheaper masks are just as good, if not better, and you can always have a go at a DIY mask at home. I am yet try this, but it is on my list i just need a bit more research first. Ingredients i have seen people use for DIY hair masks include Castor Oil (or others), avocado, egg, banana, all things you can get in the supermarket. Get Steamy! Adding steam as said above, can help the deep conditioner to work better. Why not have a hot soak in the bath while your treatment works its magic. Be Fooled! Ignore the hype and read the label. Again as i have said before, alot of these "top of the range" brands you see people hype about on line, are not that different than other cheaper brands. Not only that, but alot of the girls you see talk about these amazing, expensive products, are paid to do so! Focus on your ends! The ends of our hair are the oldest hairs, and so need the most attention. When applying a deep conditioner, make sure they get a very generous coating. Shampoo your roots, condition the body, and deep condition those ends! This is where the most damage is and dead hair which needs more life brought into it. Make sure they get some TLC! I hope this post has been helpful to you, and answered some of your deep condtioning questions. Feel free to comment below if theres anything i have missed and also let me know YOUR deep conditioning routines.